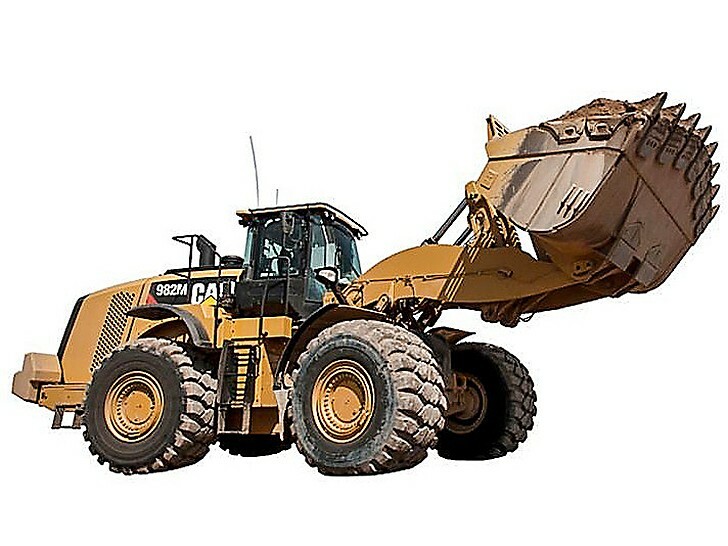 The new 982M Wheel Loader has a U.S. EPA Tier 4 Final/EU Stage IV ACERT engine equipped with a combination of proven electronic, fuel, air and after-treatment components. Applying proven technologies systematically and strategically lets us meet our customer’s high expectations for productivity and fuel efficiency. Deep system integration results in reduced emissions, improved performance and improved fuel economy without interrupting the machines performance, making it seamless to operators. The reliability, durability, and versatility of the 982M results in a machine that is better built to meet your needs. The new all-purpose 982M machine is a great 2-pass match for larger on-highway trucks, bank excavation and even face loading in well shot rock loading applications. The 982M has longer standard lift arms than the 980M making it a great rail car loader due to the higher hinge pin height. With a full range of bucket sizes and types, the 982M provides customers an exciting new option in this size class.